'Tatyanka' Татьянка (Olga Riabykh, R. 2016). Seedling# A2366-1. TB, 31.5" (80 cm). Early midseason bloom. 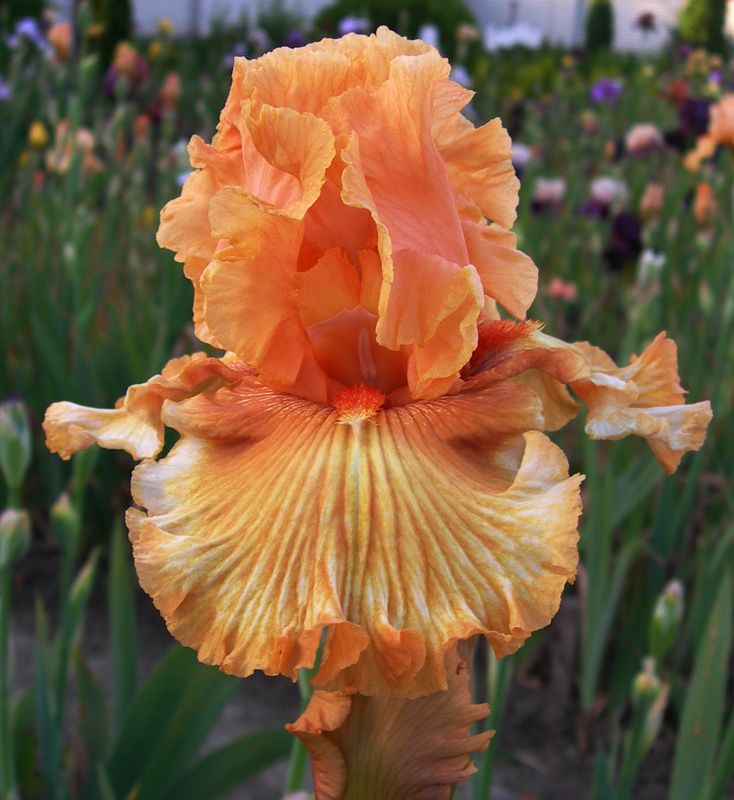 Standards apricot, peach midrib; style arms light apricot, edged darker; falls apricot, peach-apricot on hafts, darker border; beards tangerine, light base; folded ruffling. 'Alpiyskiy Lug' X ('Zhioltaya Orkhideya' x 'Gypsy Lord'). Riabykh 2017. Translation: Татьянка = the style of carving.